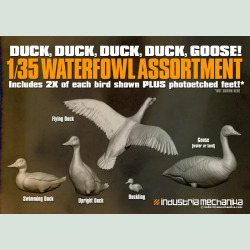 Anything we carry that is water-related, you'll find in this category. Sea There are 6 products. 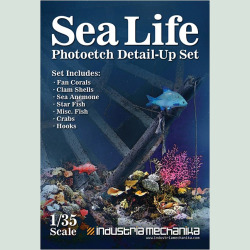 Enhance your oceanic displays with this 1/35 Scale photoetch set. 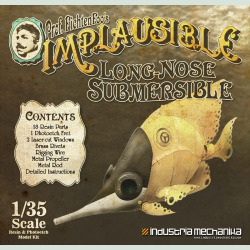 Add fan corals, fish, anemone, crabs and more! Click below image of PE sheet to enlarge. 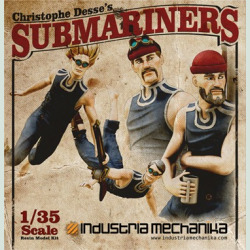 These steampunk submariners are ready to pilot any contraption that comes their way. 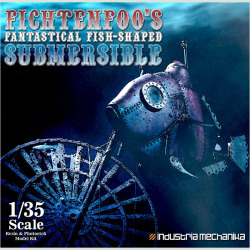 Designed by Christophe Desse and Michael Fichtenmayer (FichtenFoo) to be used with the Fish-Shaped Submersibles and any old-time maritime scenes. 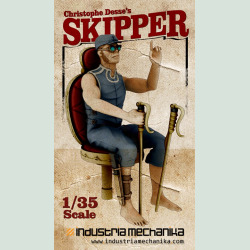 A side-project to the Christophe Desse Submariners, this Skipper (captain, pilot) was made to fit into the original Fantastical Fish-Shaped Submersible. He can also be used as a replacement pilot for any number of old-timey subjects.